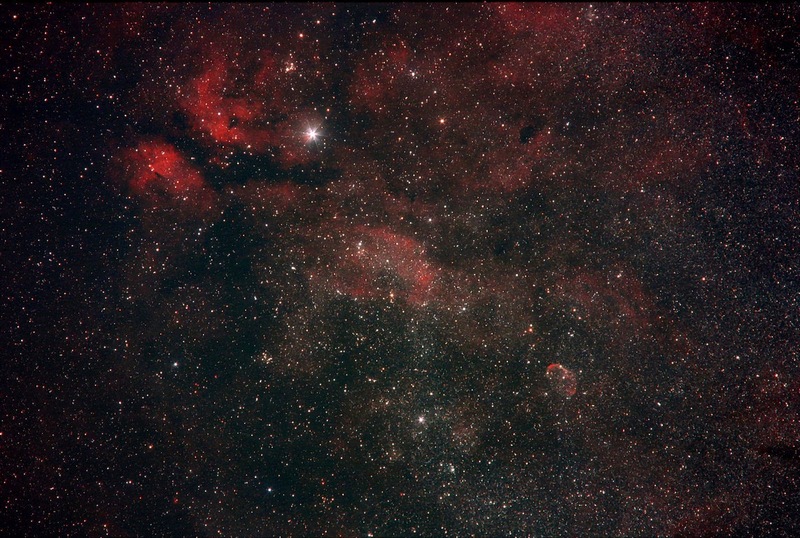 The next clear evening offered some better transparency so I decided to continue with the Takumar 200mm and try for a fairly deep image of the central Cygnus region. The Crescent Nebula shows well and M 29 looks like a mini Pleiades lower left of centre. A few patches of cloud interfered during the session but the transparency remained quite good throughout. Details: Takumar 200mm @ f5.6 (full field) 16x 8minute exposures @ iso1600 with CLS in DSS, FIV, CS2 & XAT.